Please note that the content of this book primarily consists of articles available from Wikipedia or other free sources online. 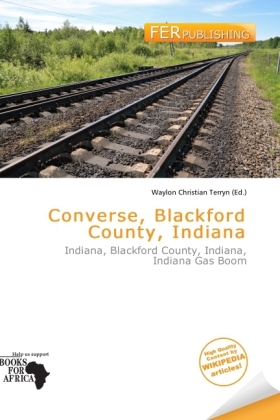 Converse is a nearly extinct American village in Indiana's Blackford County. Although not much of the community remains, the U.S. Geological Survey considers it a populated place. The community existed as a "flag" station along a railroad, and is named after railroad executive Joel N. Converse. Like many communities in Blackford County, this village declined after the end of the Indiana Gas Boom, which ended in the early 20th century.